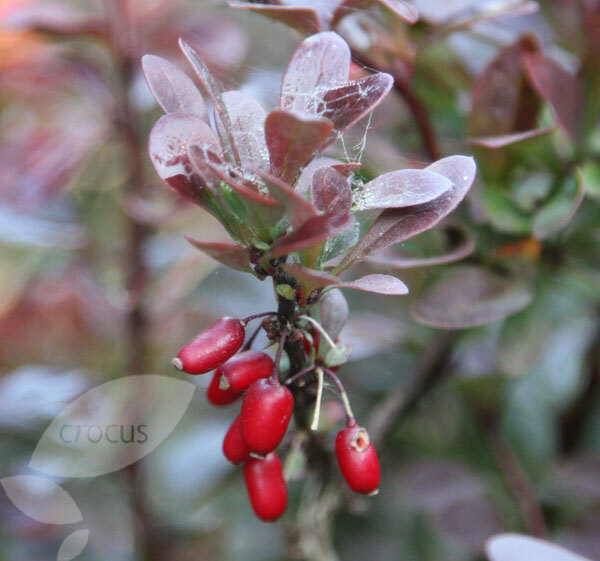 A hardy, deciduous red leaved shrub covered with sharp spines. It is excellent for hedging and as a ‘security shrub' under windows or for gaps in boundaries. Bunches of small yellow, sickly sweet flowers are produced in early spring, followed in the autumn by small red berries.